Expensive food & drinks, loved by DFL's. Opening hours suddenly much reduced and now don't open until 5pm Mon-Friday. Website suspended and pub now up for sale - yours for £960k. Owners lost imterest? More money to be made from rural DFL's at Laughton. Great find, edge of town but worth it. Two well kept outside areas & very pleasant inside. Good range of 4-5 Ales, plus at least one cider. Food looked a tad on the expensive side. However, all in all - highly recommended. Back in town! A bit too soon for trad beers to be on the pumps. Harveys, a Burning sky plateau and predominantly local Gun Brewery beers which included a stout. Again well kept and food good. I;m a big fan of the Snowdrop. Great beer, friendly service, charming location. Plus points is they were playing I Am Kloot when we were in their and they have a poster up with an old Eden Kane gig on it. Quality. Contender for best pub in Lewes if you ask me. 6 pumps available for also, only 4 on, but it is Wednesday evening. All 4 beers were very pale in colour and very citrus in flavour. There is still a demand from ale drinkers for a traditional copper in colour and not tasting like grapefruit or lemons. That said, the 2 I drank were well kept. The pub is very pleasant, good food, friendly, but needed a better variety of beers for their customers who have walked that bit further out of the town. 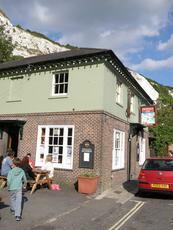 Plus point that in Lewes it is NOT a Harveys pub, so there is a free trade in town.